Depending on your point of view, chargebacks are either a relief or pure evil. For buyers, they offer peace of mind and recourse against potential fraud or dispute with a company that offers no other option. For sellers, chargebacks create a source of angst, a tarnished reputation among credit card processing companies, and a potential drain on profits. Chargebacks offer consumer protection: buyers are promised that they will not be responsible if their accounts have fraudulent activity, and they might even be able to reverse charges when they are dissatisfied with a product or service. 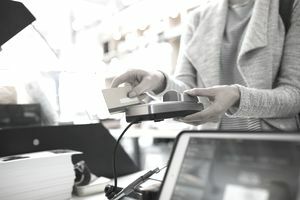 Chargebacks should only be used as a last resort; banks and payment services encourage consumers to contact the merchants, whether that’s a retailer selling goods, an online business, or a service provider, to try and resolve errors and disputes. But if no agreement is reached, consumers can make use of buyer protection or similar programs, which hold more power over merchants. Zero revenue: The main problem is that you don’t get paid when a chargeback hits your merchant account. You have likely paid fees to process the credit card sale, but end up with zero revenue from the transaction in question. You might have provided goods or services, so you’ve lost inventory or valuable time. Bad reputation: Chargebacks happen to everybody, but you don’t want to develop a reputation. If your business sees too many chargebacks, payment networks may wonder if your business is somehow taking advantage of customers or doing something fraudulent. Your merchant account might be closed, or you might have to deal with higher reserves and longer hold times on your funds. Cost: you’ll likely have to pay penalties when chargebacks hit your merchant account. What’s more, you not only lose the inventory or time spent on the transaction in question. You’re also out any additional costs associated with fulfilling the order, such as shipping charges. Why are consumers able to reverse charges? The ability to do so comes from several sources and depends on the situation, the type of payment used and the reason for the chargeback request. With credit cards, chargebacks are authorized by the Truth in Lending Act or credit card processing agreements. With debit cards, chargebacks are allowed under the Electronic Funds Transfer Act. However, with both credit and debit cards, payment processors might have additional rules that allow for chargebacks, and those rules tend to provide more protection for consumers than federal law does (Visa and Mastercard branded debit cards or “zero liability” policies, for example). When it comes to payment services like PayPal, Google Wallet, and others, chargebacks get more complicated. Those services might offer their own form of “buyer protection” similar to the credit card processing networks otherwise buyers might be reluctant to use these services. Payments through these services are generally funded by credit cards, debit cards, and bank accounts, so consumers request a chargeback with their bank or the payment service. A customer never initiates a chargeback with the actual merchant. Credit card networks and payment services seem to be most sympathetic to consumers. Common reasons for chargebacks are shown below. The chargeback process starts with a consumer complaint. Consumers notify their bank that there is a problem with a transaction in their account. For simplicity, “bank” might mean the consumer’s bank, the card-issuing bank or card network, or a payment service provider. For most disputes, the consumer provides a written description of what happened and any proof available. Depending on the circumstances, funds might be frozen in the merchant’s account or credited to the customer account. Banks then investigate, contacting any intermediaries involved with the transaction, and requesting information from the merchant that made the charge. The merchant has the opportunity to provide proof that the charge is valid and that the merchant met their end of the bargain, if applicable, and the bank decides who will prevail. The best way to deal with chargebacks is to prevent them in the first place. Your business is generally considered “guilty until proven innocent,” and that’s not a position you want to be in. How can you avoid trouble? Communicate: Customers don’t like unpleasant surprises, so be upfront about anything that might result in an unhappy customer. Clearly and honestly describe your product or service, and include detailed pictures. If something goes wrong, such as a delay in shipping, for example, inform your customer as soon as possible. If customers call or write with questions or complaints, respond promptly. Customers use chargebacks when they feel powerless, so don’t make them feel that way. Keep good records: If an unjustified chargeback hits your account, make sure you can get the case closed quickly. Keep any proof of fulfilled orders including receipts, invoices, shipping documents and confirmations, signatures, and server logs. Sometimes customers forget that they ordered from you, and showing them proof clears things up quickly. Choose wisely how your name is displayed: When consumers see transactions in their account history, can they recognize your business? Make sure the name that appears on bank statements matches who the consumer thinks they bought from. If you sell coffee mugs, a good name might be “Acme Coffee Mugs,” but “Acme Enterprises” is going to result in more chargebacks. Include your phone number as well if possible. Use caution: You might think any sale is a good sale, but that’s only true if it’s a legitimate sale. Don’t make it too easy for thieves to shop your store. For credit card orders, require security codes and address verification. If orders seem suspicious, such as a new customer from overseas, and suddenly the overseas buyer places a large rush order, take an extra moment to review the transaction and contact the buyer. Additionally, if somebody wants goods shipped to an address that doesn’t match the credit card billing address, be careful and investigate further. Unfortunately, you’re not just dealing with thieves using stolen credit cards. Another type of chargeback, "friendly fraud," happens when somebody makes a legitimate purchase, receives the goods, and then reverses the charges, just because they know they can get away with it. To prevent friendly fraud, the best things you can do are keep good records so that you’ll hopefully have sufficient proof to fight the chargeback, and use any security tools available in your merchant account.